In my last post, The Power of the Exit Ticket, I described what we learned from a ninth grade research assignment exit ticket. But learning alone does not transform instruction. Incorporating what we learn into our program is the real power of the exit ticket. We've been thinking about that. A lot. Citing sources properly helps students evaluate their sources more critically. Teaching MLA 8 is much easier than teaching MLA 7. 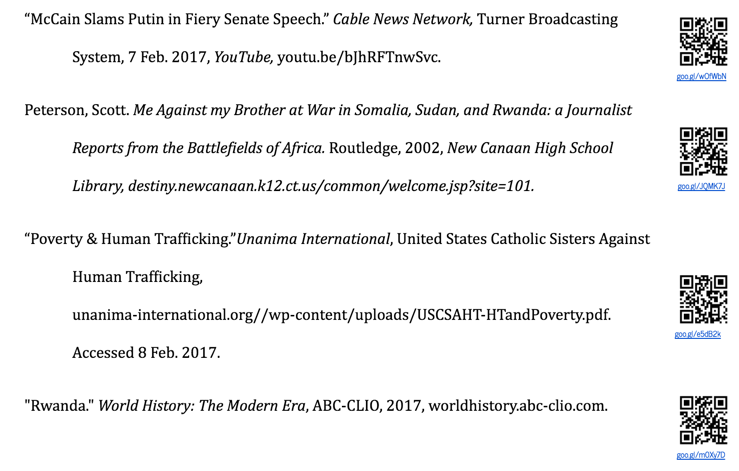 When citing sources in MLA 8, online citation generators are not as effective as students think. Students who understand the elements of a citation and the correct sequence of those elements document their research more accurately than those who don't. Our library needs to better promote its online instructional resources. Our students think they would benefit from additional face-to-face instructional time with librarians. Teachers could help make online library instruction more visible. Giving students feedback on first drafts and all subsequent revisions improves learning outcomes by nearly 25 percent. Librarians and faculty should work together to calibrate their assessment of student work in MLA 8. 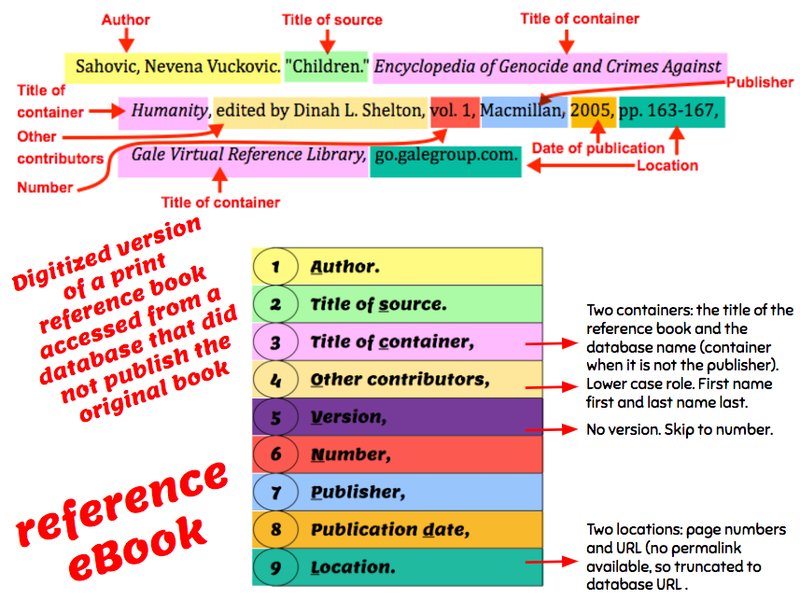 I have long held that online citation generators free up librarians to focus on teaching the higher-order thinking skills required for inquiry, close reading, and publication. 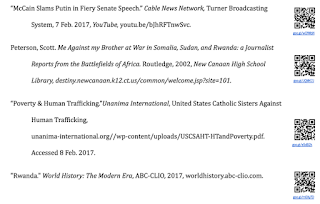 I assumed that teaching citation formatting was a misallocation of instructional time. After all, there were low-cost tools available to facilitate that task. But feedback from our students taught me something I had not considered. Online citation generators are to student researchers what swimming pool floaties are to toddlers: They give learners the false impression that they can do it (swim/cite) independently, but they do not teach them how. Dependence on the tool impedes skill mastery. 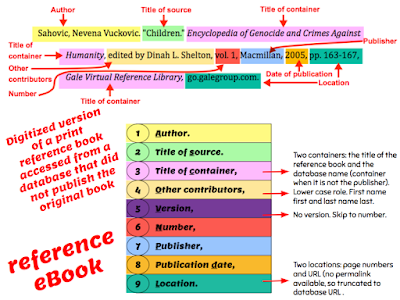 Is citation mastery critical? Probably not, but it is valuable to achieving other critical ends - namely resource evaluation. 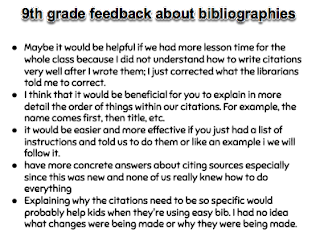 By determining how to align all nine elements of an MLA 8 citation with each consulted resource, students are challenged to evaluate those sources more critically. This supports learners with their embedded references as well. So yeah. We are now teaching students how to build citations from the ground up. I am not sure we would have tackled this with MLA 7, but MLA 8, which was released in April 2016, makes it a whole lot easier because the elements and their sequence do not vary, regardless of the source format. Last spring, I created an MLA 8 slide show to introduce teachers to the new guidelines. Lately, we've been working on instructional materials for students. We are warehousing it all in this webpage, which is part of what will become the new THE ANNEX@ once we sunset the existing one. Using student inquiries - those "How do I cite...?" queries from the library's text messaging service - we are building a works consulted exemplar. Where need arises (and time permits) we offer a QR code and a shortened link to an image explaining the citation in detail, element by element. We are still sorting through our interpretation of MLA 8. If you see something you think we ought to change, please tell us! Thank you.